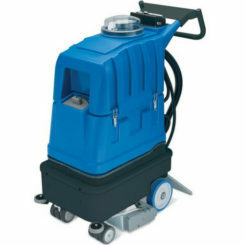 Powerful is a self-propelled carpet cleaning machine designed to clean very large areas of carpet. 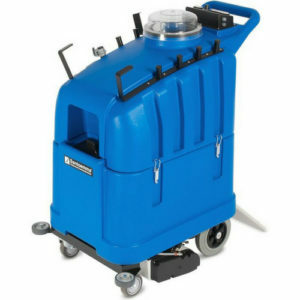 It washes, brushes and dries a stripe of 50 cm of carpet, moving forward with adjustable speed, cleaning up to 600 square meters in one hour. 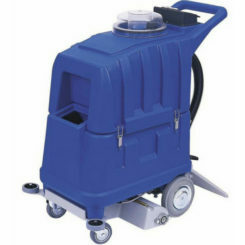 Its high-waterlift vacuum system allows to recover the maximum quantity of dirt from carpet and to get a shortest drying time. The differential of the driving motor allows the machine to turn without effort, giving it a good manoeuvrability even in narrow areas, as for example in corridors. 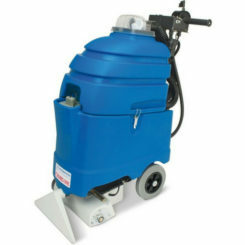 The pressure of the rotating brush can be adjusted, according to the type of carpet. 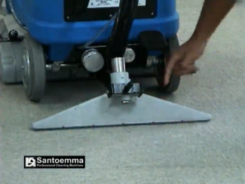 The water-flow can be regulated, for a maintenance low-moisture cleaning or a restoration deep-cleaning. Powerful can be supplied with the instant hot water unit HT1800. 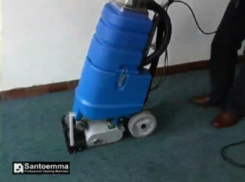 If equipped with the patented SMARTKIT system, it is possible to perform automatic chemical dosing, carpet pre-spraying and rinsing.Main application fields: cleaning companies, hotels, conference halls, offices, banks, shops, cinemas, theatres, ferry boats, ships, airports, school, universities, shopping centres and all places with large surfaces of carpet. 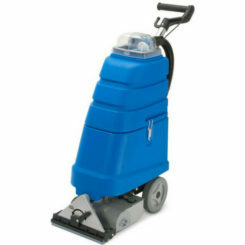 The two high waterlift 3 stages vacuum motors allow an excellent suction and therefore a very short drying time. With the optional SMARTKIT-EL, it is possible to perform automatic chemical dosing and carpet rinsing. Vacuum motors and driving motor with thermal protection against overload. Vacuum motors treated against rust.